I’m a high-tech C.E.O. by day and a mom of four (plus two daughters-in-law that I adore) and grandmother of one by night. I have always been a night owl so I suppose I’m also a late-night C.E.O. I was born in Brooklyn, NY, grew up on Long Island in the “golden ghetto” of Great Neck. I’ve lived in Northern California since 1988 – long enough that my husband reminds me, whenever I say I’m from New York, that I’ve lived in California longer than I ever lived in New York. I’ve worked or been in graduate school during my entire parenting career. With all the juggling that implies, I didn’t have time for many hobbies unless they involved my children – fortunately most of them do! I love music (playing and listening), travel, reading, family dinners, photography, and hiking in the beautiful hills around my Woodside home. Family, both immediate and extended, is incredibly important to me. 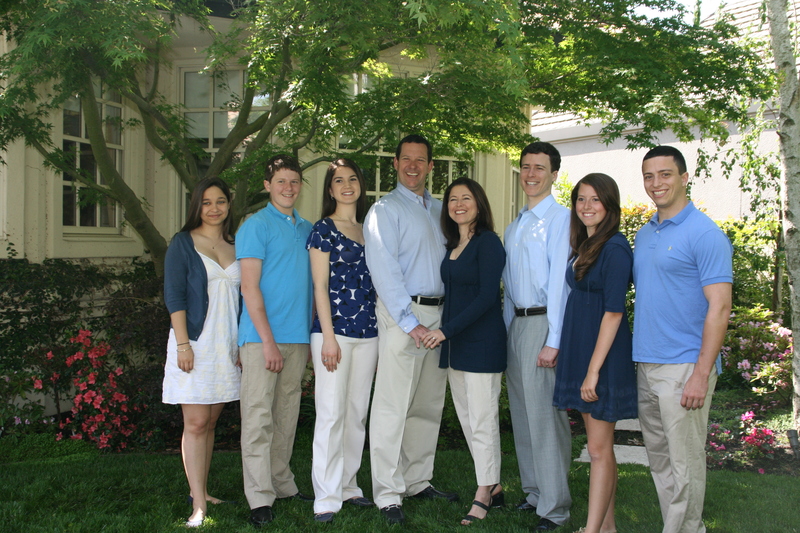 My husband Steve (an entrepreneur himself and Venture Partner at http://www.orbimed.com) and I love spending time with our 13 nieces and nephews, siblings, parents and cousins. I’ve always been passionate about music. I grew up playing violin, viola and piano and one of my greatest joys has been helping my children learn to love music and watching them perform. I love all kinds of music, from opera, to jazz, to rock & roll. I’m a bit old fashioned when it comes to how I listen to my music, though – while I use my iPod on the go, I am partial to my CD player and DCM speakers at home. I’m also an avid reader. Here’s a link to some of my recent and favorite books– my taste is broad but I particularly love biographies and historical fiction. For exercise and relaxation I love to hike. I hike the http://dish.stanford.edu/ regularly. My new favorite hike is Russian Ridge Open Space preserve. I’m quite liberal though I love a good political debate and I particularly value diversity of opinions as well as backgrounds. I have been fascinated by technology since it became accessible – I got one of the first Lisa computers when I was in my senior year at Dartmouth and had my first IBM PC in 1984. While I am not an engineer I am an avid user of new software and devices. I believe I had almost every generation of Palm device (VX being my favorite) then multiple BlackBerries and now am loving my many iOS and Android devices. I consider myself lucky to have had the opportunity to work in this industry the last 23 years. More on all of these topics to come in blog posts. Thanks for reading. I read the article about you in this morning’s SF Chronicle and looked at your blog. I love the blog’s banner – I examined the contents of the sink carefully to learn about you. Thank you. Now I will look into Sugarsync to see what it has to offer over my current cloud site. I chose the sink contents very carefully! Glad you checked it out. If I could find your email, I would send this as an email instead. Below is a copy of what I just sent to the info @sugarsync account, which is the closest account to yours that I could find. I would like to think that are unaware of the video on SugarSync’s homepage. Or perhaps you have been in upper management long enough to forget the struggle to be taken seriously that women in places like rural North Carolina have? My community college course in IT are usually less than 25 % women. Some of the advanced classes have no women at all. The video on SugarSync’shomepage is perpetuating sexist stereotypes that make it hard to attract and retain women in IT. Yesterday I was demonstrating to my hardware and software courses at Alamance Community College the simplicity of online backup and using SugarSync since I had just signed up for a year. All went well in the first class when I demonstrated it myself. Then for the second class, I foolishly said to the students, ‘Here, let’s let the company explain it themselves’, and clicked on the video on your homepage that says, ‘Why SugarSync?’ I admit that I should have previewed the clip before showing it to my class.. But you should be embarrassed for having created such a demeaning video. Please, put yourself in my shoes for a moment. I am a 59 year old woman in IT. I have struggled through all of the nonsense that women in a science/engineering field go through. In front of my class, I click on a video for a company that I respect, thinking that it will respect me likewise. Instead, I am treated to a snide, sexist portrayal of a woman ‘executive’ who relies on your service to help her lead a life of irresponsibility. After your ‘executive’ poured a glass of water over her computer and said ‘oops, my hard drive is fried’, I turned off the video and apologized to my class. If you check the comments in YouTube, you can see who the target audience for this ad is. Is this really who you perceive as your target audience?